Wood N Stuff Cabinets Inc.
Wood 'N' Stuff Cabinets Inc.
"Economy to Luxury, We build to fit your needs." 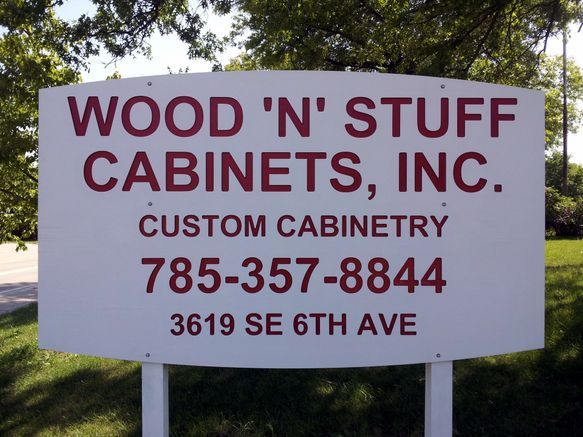 Established in 1985 & incorporated June 29th, 1994, Wood ‘N’ Stuff Cabinets, Inc. has a simple philosophy, exceed expectations by providing more than what you, our customer, expect. We take pride in the quality of our work and our process to accomplish it. With the latest software, we provide physical samples and working drawings to best communicate our understanding of your vision, but also to ensure the ideal finished product with no surprises. The assembly and installation processes are paired with your design. With pristine selection and coordination of the top suppliers in the industry, Wood ‘N’ Stuff Cabinets, Inc. ensures true success with each assignment. Each employee at Wood ‘N’ Stuff Cabinets, Inc. has a pride of ownership with each piece that is produced, which ensures top notch consistency and an upper echelon solution. When you combine the latest technology with old-world craftsmanship, the results are cutting-edge.